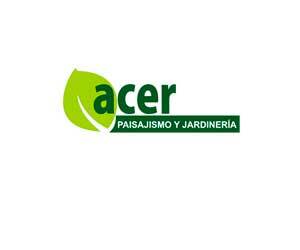 ACER projects and works, SL is a company specializing in gardening and landscaping with large and well-known customers in Marbella, Malaga and throughout Spain. In its Marketing strategy online before hiring our services had three pages different websites but none positioned, two corporate websites acerjardineria.com and acerlandscaping.es with different aspect but virtually the same content copied and pasted as is and the third focused murosverdes.es web to publicize their services of vertical gardening or green walls, so it was very difficult, that had a good SEO marbella , in Malaga. According to textual words of Ignatius: take many years with websites but they have not provided us not a single customer, yet I still believe that we must be online to let us know. It is true that we have never been in first page of Google and that it had not worked before with professionals like you. In not only BONISOFT we design and develop websites tailored to our clients, but I advise and advise you in your Marketing Online strategy to achieve your goals. We get involved at 100% to help you reach your goals. 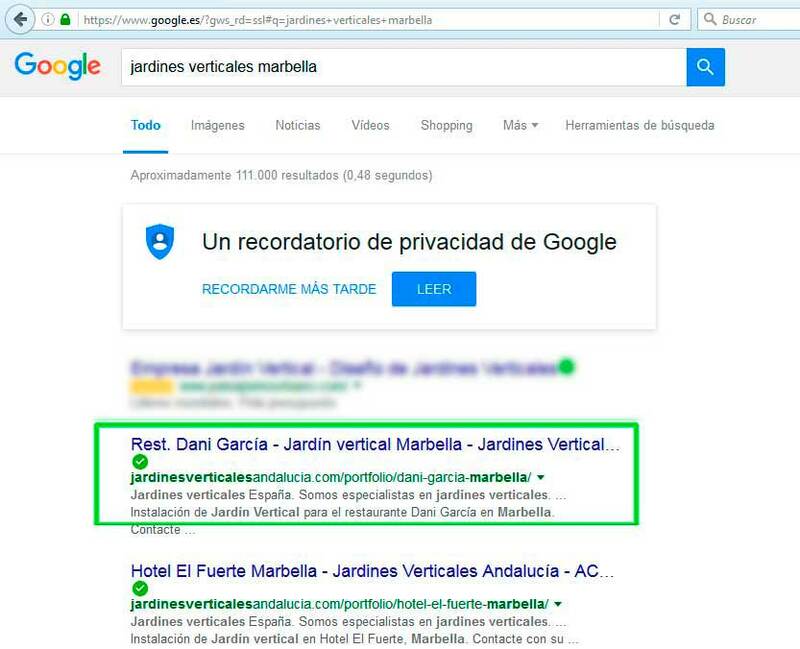 Before improving your SEO marbella and the rest of Spain did a study of the key words related to the vertical gardens and green walls, in function of which we offered different available domain names both the .com as the. is, together with the client we decided that the best option was jardinhesverticalesandalucia.com and jardinesverticalesandalucia.es, the objective was to capture the audience that was looking for vertical gardening services in search engines like Google , Yahoo and Bing, the challenge no doubt was to achieve quick results in an environment with a lot of competition both at the level of SEO seo Malaga marbella Spain. The goal not only was only SEO Marbella, as well as position ACER as leading company of vertical gardens in Spain with his website jardinesverticalesandalucia.com to the main search terms related to their services in Marbella, Malaga, Andalusia and throughout Spain, but also run a marketing strategy of content and social networks, capturing potential customers for searches related to your landscaping and gardening sector. In addition to the objective of saving costs of maintenance of three Web sites, so according to the customer and how they used to mail the acerjardineria.com domain decided to unify into a single, two corporate websites with more modern design which was in acerlandscaping.es. Taking the advantage of working in the SEO of the new website of jardinesverticalesandalucia.com before of his creation, took advantage to having the best SEO optimization OnPage possible, starting with created original content created by BONISOFT rather than duplicates that the customer had. The authority and pagerank you had the site, was nil, considering that it was a domain and brand new web site. 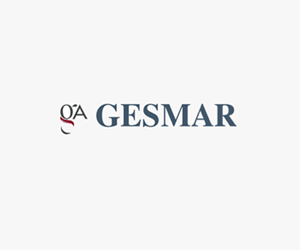 From the very beginning we work together with the client to achieve to increase the authority, something in which competitors were years ahead. In BONISOFT know perfectly well that with the implementation of SEO OnPage, through a good continent and content, the sustained growth of the authority of the single site was matter of time to see results in the different search engines. 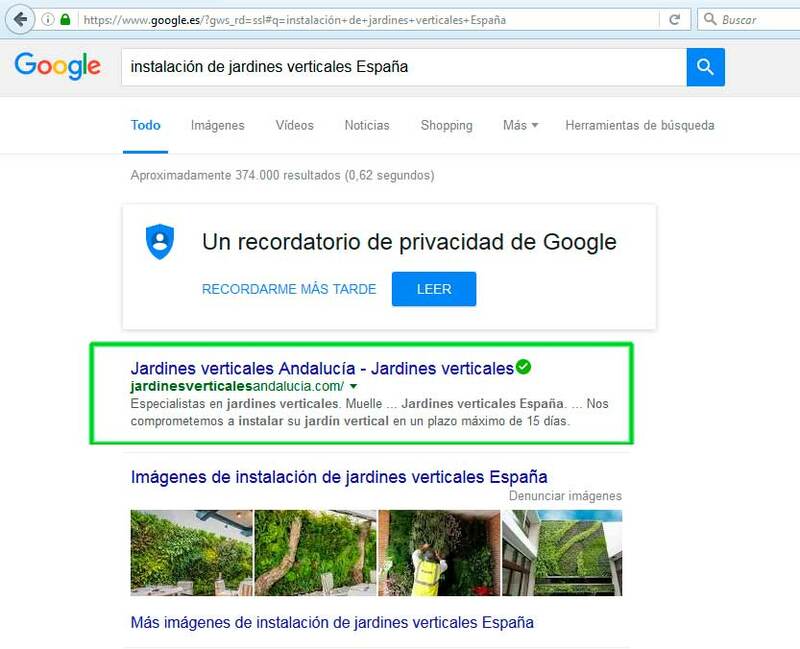 We managed to beat our record of one week and only two days got your website appear naturally on the first page of Google results for the keyword vertical gardens Andalusia. In collaboration with our ACER customer were improving their content and design at the same time that we work the web positioning SEO and although positioning web not all is climbing, but there are ups and downs in the positions… We have managed to position them well in Malaga and throughout Spain with the most used key words in relation to the vertical gardens. 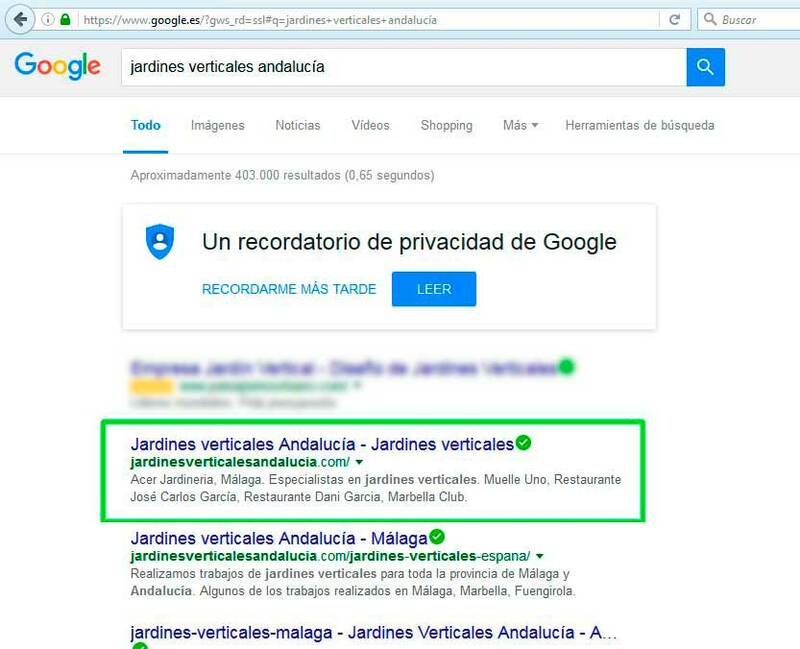 In the first months of starting our SEO work, excellent results had already been achieved and little by little ACER was occupying positions highlighted with its web jardinesverticalesandalucia.com, to achieve a TOP 1 in the vast majority of the top searches and many more of them in a TOP 10. He was jardinesverticalesandalucia.com to have thousands of organic visits, making the SEO responsible for 50% of the total site traffic every month. 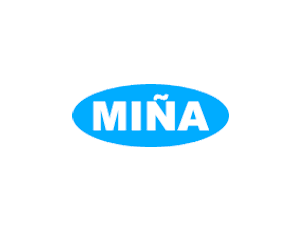 –Installation vertical gardens in Malaga. On the other hand appear first in Google and have a beautiful web does not guarantee success, in the event that they do not contact you enough through your website or you may believe that it does not generate you business in BONISOFT is one step further, implying US 100%, making design, change color or location of the buttons a/b tests sizes, texts… All according to the client, so do all required tests, to see what brings more leads and clients, optimising websites not only for its positioning web marbella and Spain but also for the conversion. 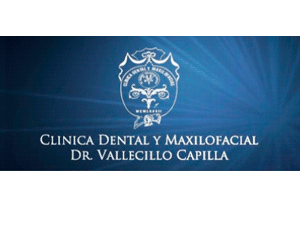 We want to help you achieve your goals, working side by side, as if we were in the same boat.